The EasyUSB Mixer Amp supports up to two EasyTALK MicPOD microphones. 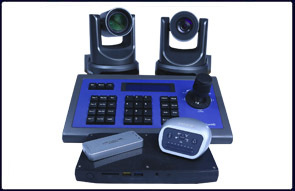 In addition, analog line level I/O interfaces allow for integration with external AV equipment such as videoconferencing codecs, external amplifiers or LCD displays. The EasyUSB Mixer Amp also has a 2 x 20 watt integrated audio amplifier for connection to external 4/8-Ohm speakers. The EasyTALK USB uses a standard UAC driver, based on the guidelines set by the USB Implementers Forum, so you do not need to download any additional software or drivers. Instead, you just plug in each device and they work automatically with any operating system – Windows, Mac, Linux – you name it. It’s completely driver-free. 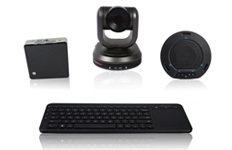 They are designed as a truly plug-and-play audio solution for software-based conferencing systems.